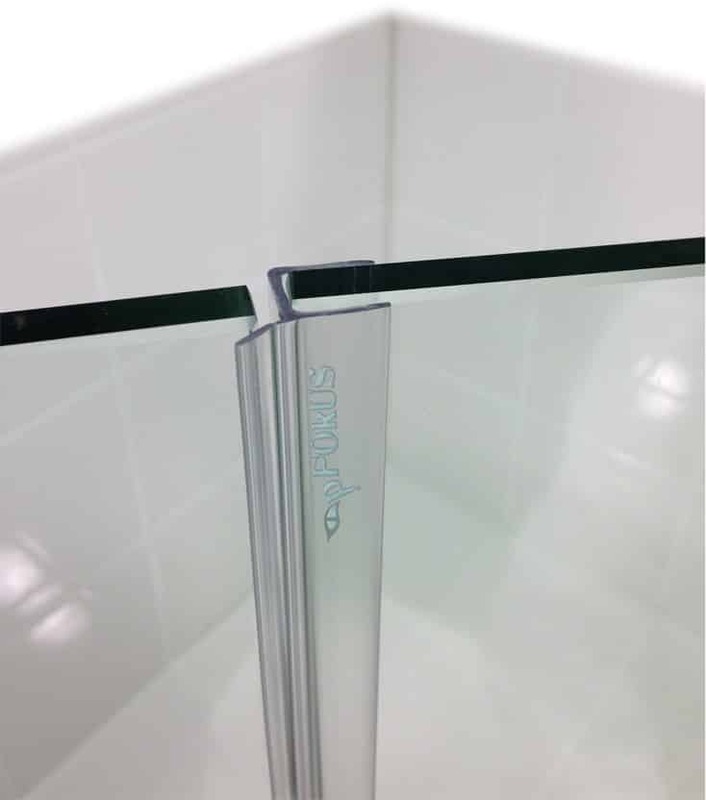 glass you have- DS9382 frameless shower door sweep is here. Shower glass is a major part of our maintenance list, as homeowners. Our DS9382 frameless shower door sweep comes in many sizes – 32”, 36” or 98” lengths. 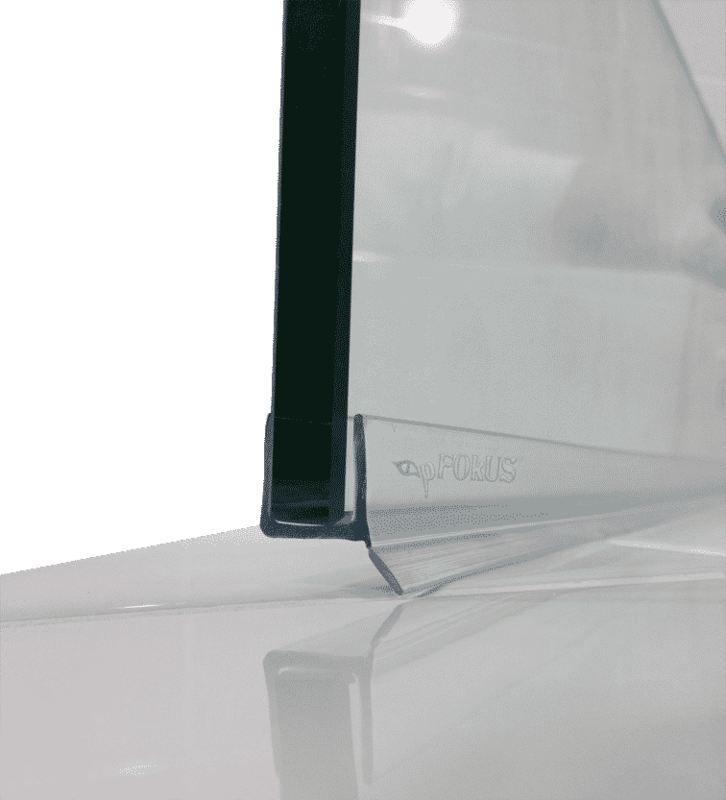 The key to our DS9382 frameless shower door sweep – deflect the water. It’s how your shower door interacts with our drip rail, that makes it spectacular. Imagine a shower door sweep that not only deflects the water – it also seals underneath the shower door. 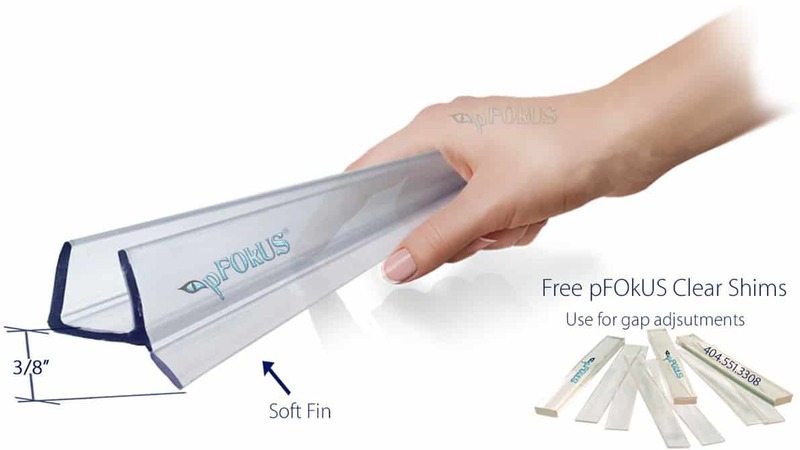 Polycarbonate is more than the next generation of sweeps — it’s the most durable material yet. 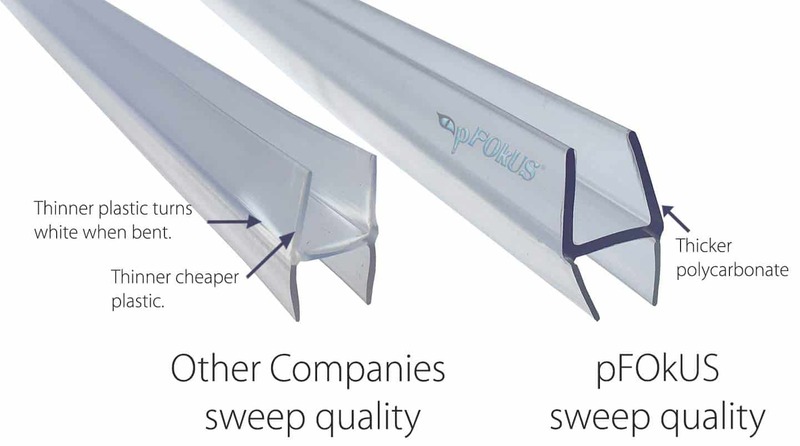 Our competitors use plastic imported sweeps that are cheaper and less expensive. Polycarbonate has more of a natural look, easily wipes, and holds to the glass better. Hard water is a burden, leaving your shower glass full of water dots and etching that is impossible to remove – until now. Benaz is the only cleaner to restore shower glass to perfection with simply apply the solution to the glass and massaging with the white pad. A brilliant pFOkUS chemist developed Valore. Not only will you see the water sheet off the glass instantly, you will love the application. Simply spray Valore evenly across your shower glass and wipe clean. 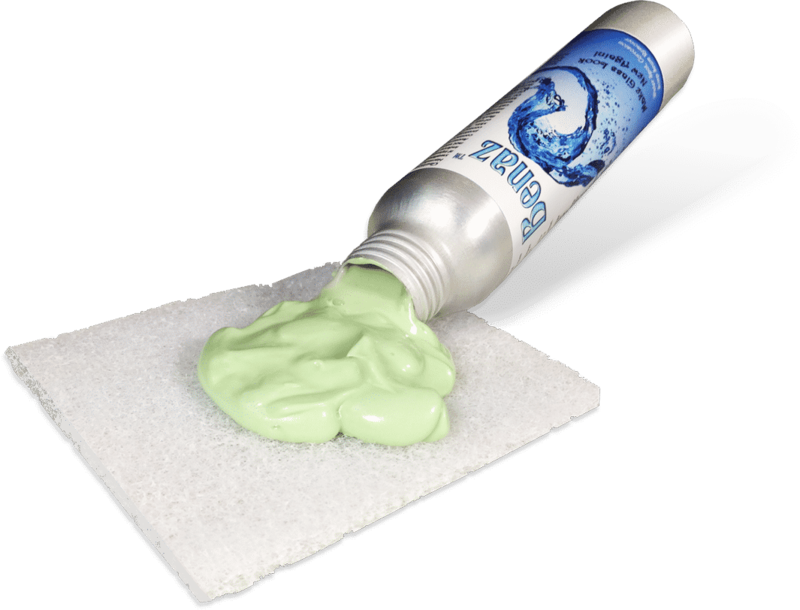 Within second Valore bonds to the surface and you can apply water instantly. Yes the shower door sweep is transparent and clear. 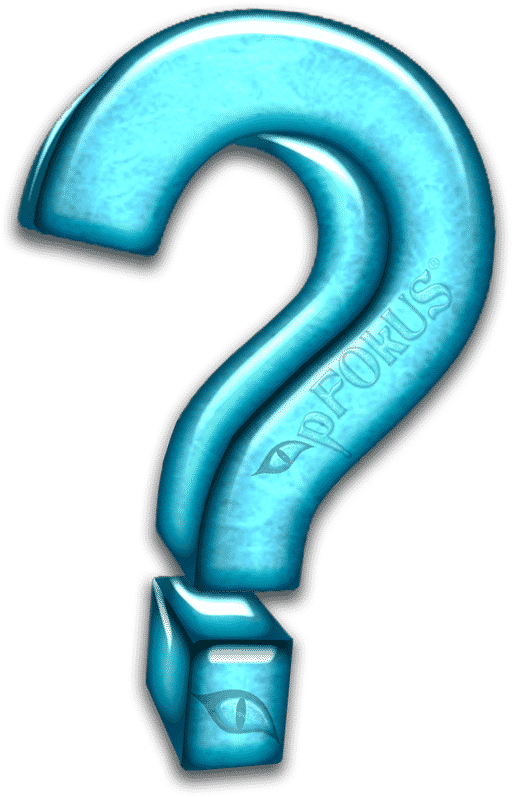 Are the clear pFOkUS blocks transparent? Can I use scissors to cut the DS9382? No. Our sweeps are durable and thick, so we sell sweep cutters. Will the sweep stop my shower door from leaking? We are unable to say yes or no. The sweeps are developed to deflect the water towards the shower. Do you sell a product the will build up the tile to stop leaking? We my shower door sweep last a couple years? Yes most sweeps should be replaced every couple years. Lippage in tile can wear down the sweep faster. Does the sweep push on or do I need waterproof tape? The sweep simply pushes on the glass. Will the sweep fit tight one my glass door? Yes. The sweep will never fall off your door.